There are 5 hostels, one each for 1st year students, seniors, girls, junior residents and pg/senior residents. Hostel fee is also as low as INR 60 per month. Mess fee is around INR 1300, but it is average.Canteens are present all over the campus.There are 4 lecture theatres with sitting arrangement for about 150 students, 1 examination hall, huge library, reading rooms, and many labs. No wifi on campus. 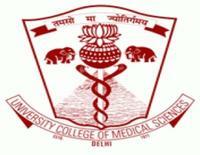 UCMS has a huge campus, which also includes the Guru Teg Bahadur Hospital. GTB hospital acts as training hospital and has bed strength of 1000. It provides facilities like central workshop, animal house, hospital laboratory services unit, hostel, medical illustration & photography, medical education unit, skill lab and canteen. The college also has technological facilities which includes audio-video, telemedicine, electronic assessment & other facilities. The college is also provided with sports and gym facilities for the sports enthusiasts. The UCMS houses for a Central Library and 17 Departmental Libraries with a great volume of teaching and learning resources, which collectively support the teaching, research and extension programs of the college. Libraries are well equipped with resources in the form of books, journals, thesis etc. There are about 16000+ books & WHO publications, 18000+ back of journal volumes and 400+ thesis.